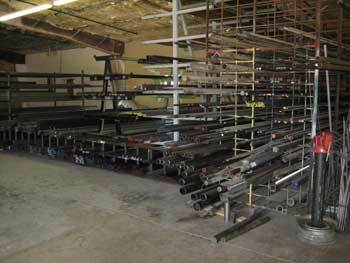 Based in Prescott, Arizona, we are Prescott's first and finest welding supply shop. We offer only the highest quality products, materials, service and support to our customers. We are proud to offer one of the most comprehensive lines of tools and supplies for metal fabrication and restoration metalwork available. We proudly serve Prescott, Chino Valley, Prescott Valley, Dewey, Humboldt, Sedona, Cottonwood, Clarkdale, Jerome and all of Yavapai County, Arizona. Prescott Steel and Welding Supplies stocks a very comprehensive selection of materials that you will need for your project. We carry a wide variety of aluminum, copper, brass, steel and stainless steel. Our equipment is designed to give you the length and bends that you need. No minimum purchases. To view our materials list, please browse the navigation bar to the left. 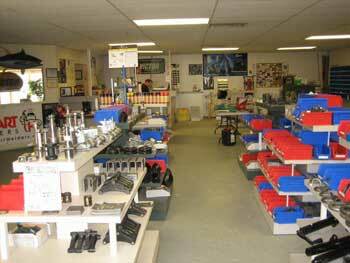 We are Northern Arizona's source for welding supplies. Prescott Steel & Welding Supplies provides a wide range of quality welding supplies, mig welders and arc welders to our customers. You will find masks, rods, discs, blades and many quality brand-name accessories. Find out more about our welding supply services. We are your local source for trailer parts and trailer accessories. Whether it be camper trailer parts, boat trailer parts, utility trailer parts, cargo trailer parts, or horse / livestock trailer parts, our goal here at Prescott Steel & Welding Supplies is to provide you the best selection, best price, and best service on trailer parts and trailer accessories. We look forward to serving you. Find out more about our trailer supply services. Our customers come from many backgrounds and industries, and all can find what they need at Prescott Steel & Welding Supplies.